One of the biggest problems couples have when picking out furniture is deciding between style or comfort. Thankfully, with Duo by La-Z-Boy you no longer face that dilemma. When couples walk into furniture stores, one will be looking for style and completing the look of the room. The other is usually more interested in putting their feet up and relaxing. Now, you can pick out your home’s furniture without having to flip a coin. In this article, we take a look at how you can combine modern style, design, and reclining comfort with Duo by La-Z-Boy. Stationary (non-reclining) furniture has a distinct look and feel. This type of furniture usually has a more modern and stylish look. Much like the furniture inspired by television’s Mad Men. Duo by La-Z-Boy has the same modern look and feel of stationary furniture. However, if you take a closer look you’ll notice two small electronic buttons that allow this furniture to recline. These buttons are stylish, sleek, and silver-tone so they don’t compromise the look of your furniture. And they give you the option to recline. Why do I care? Duo is the first sofa, loveseat, chair, or sectional that gives you the modern look and feel of stationary furniture with the reclining comfort La-Z-Boy is known for. On Duo by La-Z-Boy, each armrest has a two-button switch that extends the legrest and reclines the back/seat of your furniture. When the legrest is extended, you can continue pressing the button to recline the back and slightly tilt the seat. This puts you in the perfect position for reading, gaming, or lounging. Why do I care? You can discreetly and comfortably recline without sacrificing the style of your furniture. Next to the two-button switch on each armrest, is a USB charging port. This means you no longer have to search for a wall outlet to plug in your phone charger. When you’re relaxing at night and your phone is about to die, you can conveniently plug your phone in right next to where you’re sitting. Plus you’ll have plenty of room to move around without pulling your cord out of the charging port. Why do I care? You can charge your phone while you recharge your batteries. When you recline in a Duo by La-Z-Boy, no additional space is required between the back of the furniture and the wall. The back frame remains stationary with all of the movement coming from the legrest, seat, and lower back. This means Duo furniture can be placed directly against the wall and recline without hitting it. Allowing you to put your furniture anywhere in the room. Why do I care? Your stylish and reclining furniture can be placed against the wall. Duo by La-Z-Boy has a pivoting legrest board with a tension spring. This provides a great amount of comfort and ensures safety from pinching when the legrest goes down. If the legrest encounters an obstruction, the spring tension stops it from closing. Simply lift up the legrest to remove the obstruction and press the legrest will continue going down. Why do I care? You won’t pinch or crush anything while putting down your legrest. Duo furniture can receive power by being plugged in or a cordless power supply. This rechargeable battery pack allows you to float your furniture anywhere in the room. The battery pack provides around five days of cordless operation when fully charged and cycled ten times per day. The power supply fits nicely underneath your furniture to keep the clean modern look. Why do I care? You can operate your furniture electronically without having to plug it in. The electrical system on Duo is backed by a three-year warranty. And the reclining mechanism comes with a limited lifetime warranty. This product has been through a massive amount of testing. 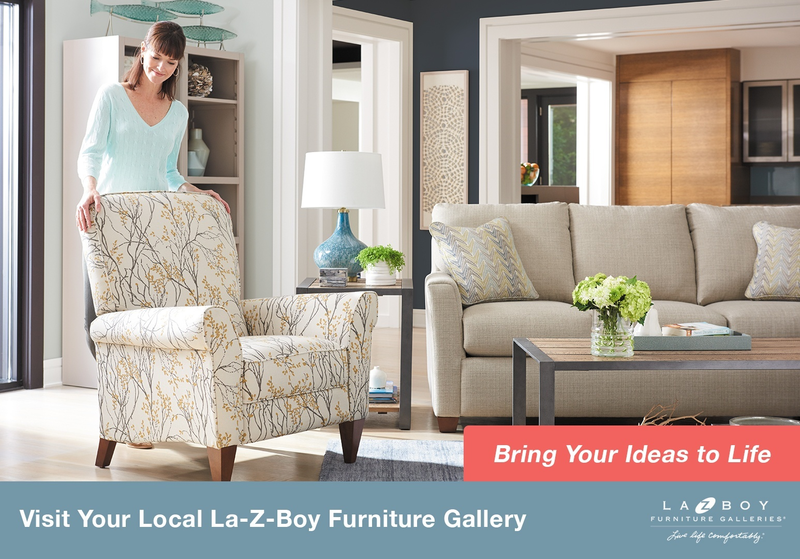 La-Z-Boy tests their furniture at 2X the industry standard. Duo is backed by over 90 years of quality engineering and manufacturing experience. And it’s also proudly made in the USA. Why do I care? You can rest assured knowing your furniture is backed by a warranty and has underwent a great deal of testing. The best way to style your home with Duo by La-Z-Boy is to meet with a degreed interior designer for free at any of our locations in NC, SC, or GA. This completely personalized & free service is tailored to your life, style, and budget. Your interior designer will make the experience of furnishing your home as comfortable as possible. Here are some additional resources you may like to check out before styling your home with Duo by La-Z-Boy.